From spectacular insurance benefits to inclusive workplace culture to generous work/life balance, the 100 Best Companies to Work For show how it’s done, year in and year out. The 15 firms profiled, in the estimation of our panel of judges, rose to the top of the 100 this year. (Find a complete PDF listing of the 100 Best Companies to Work For and clickable links to each category below.) The judges’ conclusions were based in part on data submitted anonymously by thousands of employees of the participating businesses. The research firm Fieldwork Webwork used the detailed responses to determine each company’s score in 12 categories, including such vital areas as communication, executive leadership, corporate culture and workplace environment. For judging purposes, nominated companies were separated into five classifications: small firms (30 or fewer employees), midsize (31 to 100 employees), large (more than 100 employees), nonprofits and firms headquartered outside Washington. 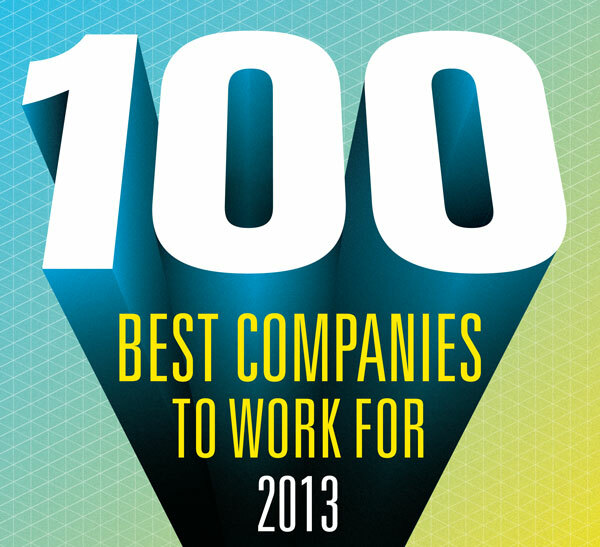 Congratulations to the Seattle Business magazine 100 best Companies to Work For of 2013! Operates Infospace, a provider of online search and monetization solutions and TaxACT, an online tax preparation service. Home office (Astronics Corp.): East Aurora, NY. Designer of electrical power systems for aircraft and missiles. Benefits. Provide a comprehensive benefits package including dental. Offer a comprehensive retirement plan, paid vacation and sick leave, flexible hours, telecommuting and job-sharing opportunities. Communication. Share good and bad news about the business. Make management accessible to employees and encourage feedback. Corporate culture. Encourage employees to act and think independently. Focus on long-term success. Allow employees to act on their convictions. Hiring and retention. Offer opportunities to advance. Maintain low turnover. Establish a formal program for identifying future leaders. Leadership. Inspire employees to do well. Encourage team spirit. Respect employees and their opinions. Promote diversity. Encourage employees to take leadership. Build strong relationships based on trust. Performance standards. Create challenging but attainable performance goals mutually agreed upon by manager and employee. Conduct evaluations that are updated regularly. Responsibility and decision making. Foster an environment of accountability. Give employees latitude and authority. Encourage problem solving and teamwork. Rewards and recognition. Provide competitive and equitable salaries. Implement performance-based compensation. Provide bonuses for excellent performance. Regularly recognize individuals and groups. Training and education. Promote employee development. Train mentors. Encourage employees to share expertise. Work environment. Encourage creativity and brainstorming in a comfortable and safe setting. Provide balance between work and personal needs. First-, second- and third-place winners were determined by this panel.